In the latest in his blog series, Dr David Parker explores an eye-catching range of stamps that chart the death throes of the Romanov dynasty. An eye-catching set of celebratory Russian stamps in 1904 presaged a major Russian disaster that had humiliated the nation and severely weakened the prestige of Tsar Nicholas II. It was the first Russian pictorial issue; prior to this Russia had contented itself with designs centred on the Romanov eagle. When Japan and Russia clashed over territorial and commercial rights in China, Nicholas was pleased to go to war, sensing an easy triumph. However under widespread international scrutiny Russian forces were pushed back into Port Arthur where they were obliged to surrender in January 1905 and after sailing halfway round the world the Russian Baltic Fleet was all but annihilated in the Strait of Tsushima between Korea and south Japan in May. In December 1904, just before these disasters occurred, a set of stamps had been issued and sold at 3k above face value in support of war orphans. They evoked memories of past Russian heroes, and no doubt sought to raise hopes of new ones, while in reality they were to exacerbate the sense of national decline. One featured the monument to Vice Admiral Vladimir Kornilov (3k) who achieved fame for capturing a large Turkish warship in the Crimean War and died defending Sevastopol. The 5k featured the huge memorial in Moscow to two seventeenth century heroes to whom Michael, the first Romanov tsar, owed his throne in 1613. During a period of chaos Dmitry Pozharsky led a volunteer force from Nizhny Novgorod to force the Polish army occupying Moscow to surrender. Winning several more battles, Michael called him ‘the Saviour of the Motherland’. Alongside him was Kuzma Minin, a merchant who was instrumental in creating the volunteer force and became an equally celebrated commander. 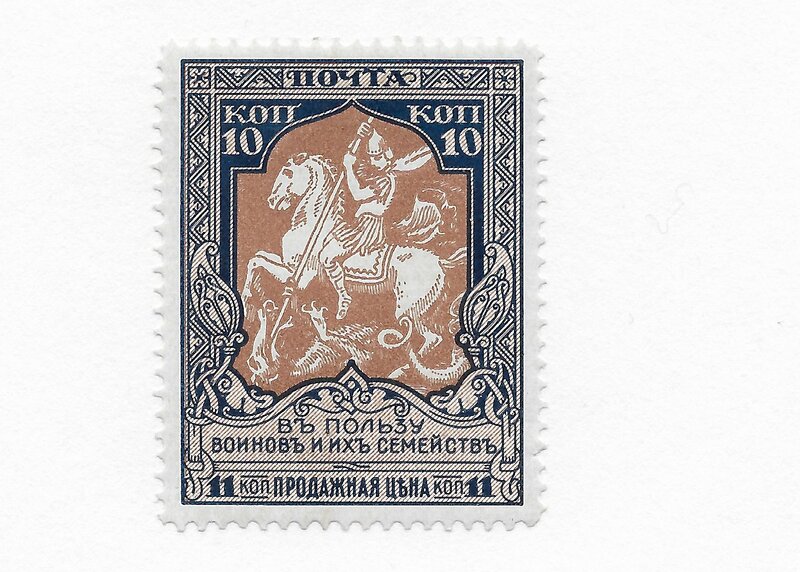 A third stamp pictured Tsar Peter the Great whose demonic energy, and ruthlessness, saw St Petersburg created out of marshland, and Russia modernized, equipped with a navy, and expanded into an Empire by the defeat of Sweden and Persia. The contrast with Nicholas II could not have been greater. The 10k featured the Kremlin, the scene of Pozharsky’s triumph. In February 1913 royalty, aristocrats and other dignitaries from across Europe and much of Asia crowded into St Petersburg, Russia’s capital city, for the three hundredth anniversary of the Romanov dynasty. Enveloped in all the ceremonial trappings of power, Nicholas II, Tsarina Alexandra, their son Alexei and daughters Anastasia, Maria, Olga and Tatiana attended a service of thanksgiving and then several days of dazzling receptions before a tour following the route taken by the first Romanov, Mikhail, after his election as tsar. Everything about the tercentenary sought to reinforce loyalty to Nicholas as the embodiment of the God-given autocrat dedicated to the well-being of his people. Portraits of all the Romanov rulers lined the streets, images of the Romanov double-headed eagle were everywhere, and the Eastern Orthodox Church’s elaborate ceremonies repeatedly hallowed the role of the Tsar. A series of stamps marked the anniversary with images of the Kremlin, the great Winter Palace, and the Moscow birthplace of Michael, the first Romanov tsar, together with portraits of past Romanov tsars thought worthy of attention. Peter the Great (reigned 1682-1725) appeared on two values, as did Nicholas II. The unpopular Peter III, who was quickly murdered in 1762 to make way for his wife, Catherine the Great, was one of those omitted. 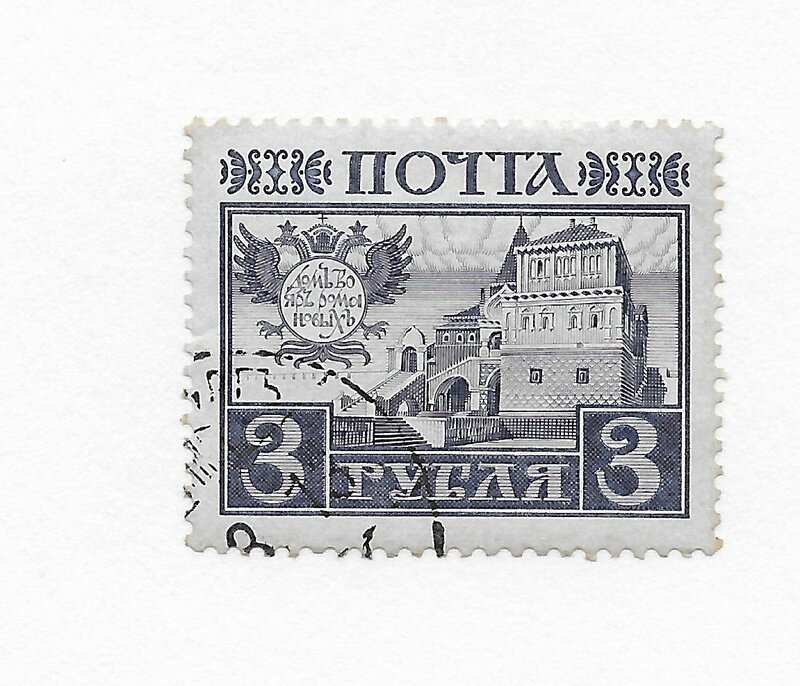 These stamps were the first to portray the Romanovs, and it was said that some postal officials were too awestruck to sully their images with postmarks. The tercentenary was in fact the exotic swansong of the dynasty. There was plentiful evidence that Romanov rule was unpopular and unfit for the effective understanding, governance and development of a vast empire, many of whose regions – and notably Russian Poland, the Ukraine and Baltic provinces – deeply resented Russian overlordship. And various sections of society across the Empire, including the Russian heartlands, believed with considerable justification that Nicholas was a diehard conservative autocrat who was convinced that political concessions were akin to denying his Divine birthright. If ever he was inclined to waver, his wife Alexandra, to whom he was devoted, restored his faith in absolutism. A Hesse princess by birth, Russians disliked her cold manner, were convinced she despised Russian culture, and believed she encouraged pro-German policies. The close guarding of the Imperial family during the celebrations, the hurried beautifying of places they visited, and the efforts made to ensure cheering crowds greeted them, played their part – along with the antiquated ceremonies surrounding the event – and ensured Nicholas believed the event confirmed his people’s devotion and hardened his attitude towards granting any glimpses of representative government. Strikes, riots and assassinations were perceived as the only means of protest in a nation whose autocracy and wafer thin glittering aristocratic veneer barely concealed the grinding poverty and desperation beneath. In 1905 thousands of workers seeking to present a petition to the tsar whom they believed would listen sympathetically were fired upon as they approached the Winter Palace in St Petersburg and then charged by Cossacks with drawn swords. A hundred died. Shocked by the workers’ actions rather than the repression, Nicholas allowed a State Duma, an advisory council composed of regional representatives, to meet. Its optimistic expectations of reform were totally dashed by the tsar’s determination to keep virtually powerless. In the end Nicholas only succeeded in accentuating extremism. When war came in 1914 there was a short-lived outburst of patriotism that benefited the monarchy as a rallying point until repeated defeats and the vast sacrifice of lives eroded morale and loyalty. In November 1914 the sole wartime charity set attempted to draw the diverse parts of the Empire together with four images embracing race, religion, legend and symbolism. The 1k portrayed Ilya Muromets, a legendary knight-errant who saved Kiev for Prince Vladimir, defended Chernihiv from invaders, and killed a dangerous forest monster. Muromets was, in fact, a composite hero-figure who saved threatened realms and rulers across the centuries. The 4k showed a smiling Cossack shaking a girl’s hand in welcome or farewell. The Cossacks scattered across southern Russia had been traditional supporters of the dynasty against both internal and external enemies – in return for generous grants of land and a marked degree of internal autonomy. The 8k was an allegory of Mother Russia comforting her children – something the Romanovs failed to emulate. Finally the 10k featured St George slaying the dragon. The saint had been closely linked to Russia for centuries. An icon showing him from Georgia dates back to the eleventh century. 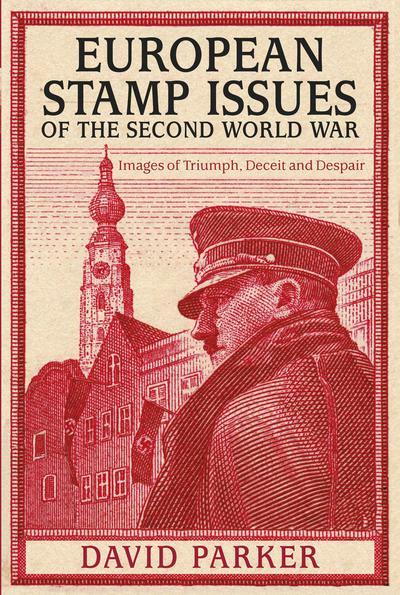 Dr David Parker's book European Stamp Issues of the Second World War: Images of Triumph, Deceit and Despair is published by History Press. This remarkable collection examines and interprets the stamps of twenty-two countries across western and eastern Europe. The glorification of the Führer and Germany on the stamps of countries he most oppressed was inevitable, but many issues are ambiguous and indicative of the rival ethnic and political forces striving to attain influence and power. Desperate to unite the people, Soviet Russia resorted to images of the nation’s heroic achievements under the Tsars; the mutually hostile puppet states Hitler and Mussolini allowed to emerge out of conquered Yugoslavia lost no time in issuing stamps proclaiming their cultural diversity; and Vichy France sought to justify its existence with issues linking past glories under Louis XIV and Napoleon with an equally glorious future alongside Hitler. These and many more stories reveal the aspirations, assumptions and anxieties of so many nations as their destinies hung in the balance. ISBN 978-0750959155. Published May 2015.